The future may hold self-driving cars and drone deliveries, but Bill Maris is pretty excited about the technologies that already exist. Especially spreading them to far-flung corners of the world. "The reality is, the technology exists now to extend life and have people live healthier, happier lives," said Maris, managing partner at Google Ventures. 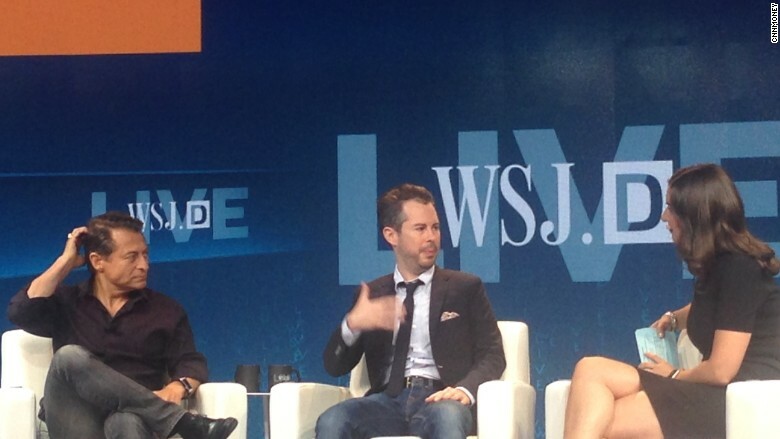 Maris joined XPRIZE CEO Peter Diamandis on-stage at the Wall Street Journal's tech conference on Tuesday to talk about what the future of technological innovation might look like. Maris is passionate about investing in life sciences, a sector that makes up about 30% of his firm's portfolio. He stressed the importance of distribution. "If we live in a world where the technologies we're talking about are for rich white people in Silicon Valley, then we've failed," said Maris. Maris has previously said he believes humans will eventually live to be 500. When asked about this on stage, he said that was a "conservative" estimate. The average lifespan in the United States is 75 to 80 years old, he said. But in Western Africa, it's 40 -- what it was 100 years ago here. "If we distributed the technology that we have already ... without creating any new technology, we can double the lifespan of people on this planet," said Maris, who has led investments in companies like 23andMe and Uber. "There's a lot of talk of the redistribution of wealth, but the redistribution of health is more interesting to me." He believes this will ultimately help advance health technology even further. Diamandis is a cofounder of human genomics sequencing facility, Human Longevity. The company mines data from genome sequencing, a person's microbiome and full-body MRI to understand why certain people live longer than others. "Why can someone at 110 be a chain smoker all their life and be in great health? That is not luck, that's a result of their genes," said Diamandis. Collecting data from a wider sample of people means more insights can be gleaned. Maris stressed the importance of health innovation above other areas, like transportation, stating that he'd trade the ability to decode DNA over flying cars any day. Maris, after all, prefers self-driving ones. He was absolute in stating that by the time his newborn is of age, he'll never own a car.